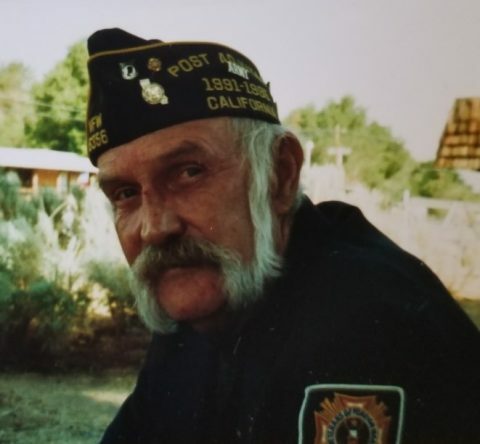 Edwin (Ed) Anderson passed away peacefully in his own home on Friday, November 2, 2018 in Doyle, California. He was born September 8, 1945 in Butte MT to Oscar and Louise Anderson. Enlisting in the United States Army in 1965, he served in Korea and was honorably discharged in 1971. He started his secondary education at Eastern Montana College in Billings, MT. He graduated from New Mexico Highlands University in Las Vegas, NM with a Bachelor of Arts. Ed was a carpenter along with many other skills and interests. He had a passion for geology, had gold mine claims and was once a commercial fisherman. He loved his family, friends, old cars, fishing and spending time at the Buck Inn. Ed lived by his principles, owed no man any debt and was passionate about his beliefs. He proudly served his local VFW, Honey Lake Post 6356, in Herlong, California. He is survived by his children, Justin (Kerry) Anderson and Jeanette (Paddy) O’Brien and two sisters, Myrna (Buck) Varner and Edith (David) Powell, several nieces and nephews along with countless step dogs. In lieu of flowers, Ed would have wanted donations to your local Veterans of Foreign War Post. There will be a Celebration of Life at the Buck Inn located at 141-153 Doyle Loop, Doyle, CA on Saturday, December 1, 2018 at 3:00 pm. If you would like to lift a glass in his honor, please join his family and friends at this time.